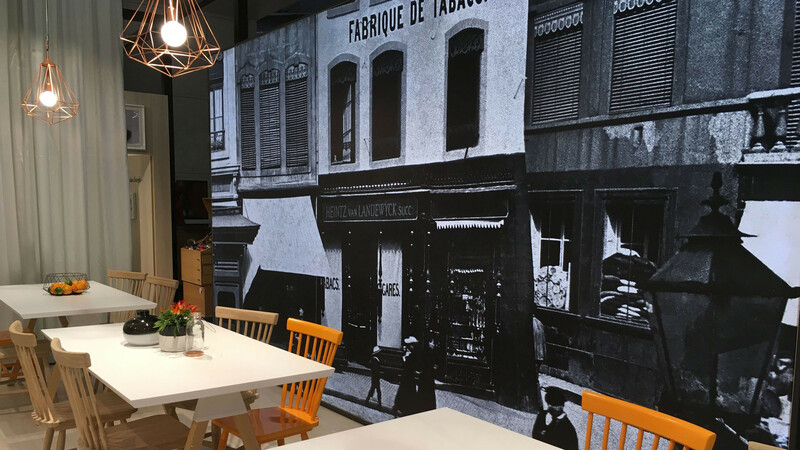 For InterTabac 2017, the fair design by D’art Design Gruppe for Heintz van Landewyck has been updatet. This year, the family company is celebrating a jubilee in the sixth generation: impressive 170 years of corporate history. The long tradition is being showcased by the brand architecture through many graphic references such as ancestral portraits or black-and-white images of the first tobacconist’s shop.